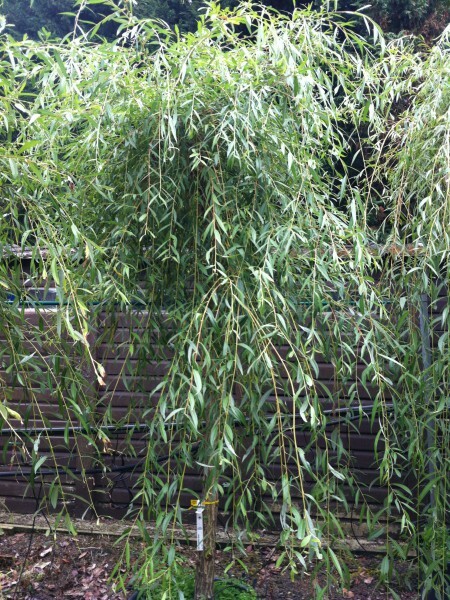 The Weeping Willow is native to China, but has been growing in Asia for millennia. 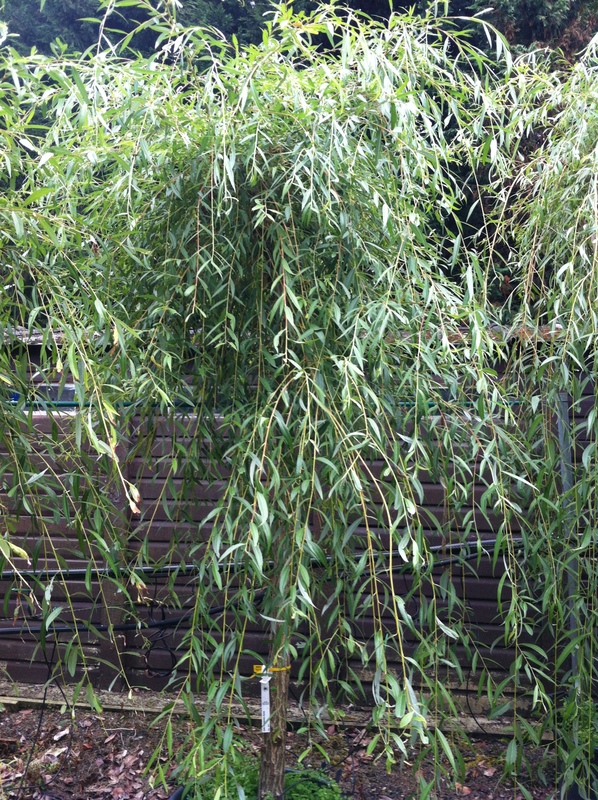 Salix babylonica grows rapidly, spreading its early branches into an oval crown, which becomes the classic weeping habitus with maturity. Its leaves are long, thin and spiral down the trees dropping shoots; they are green on top, with a grey-green colour on the under side of the leaf. In April the tree produces slender catkins up to 4cm long.